Suburban couple Peter and Carla (Jim Caviezel and Claudia Karvan) take a weekend vacation in the hopes of repairing their crumbling relationship. The couple show an absolute lack of respect for their surroundings and amongst other things, drop litter, bicker with each other, constantly spray insecticides, bicker with each other, accidently kill a baby dugong, bicker with each other and are generally unable to conceal their utter contempt for one another, or nature. As the tension between the two escalates, nature itself seems to strike back against them. Is something supernatural afoot, or is the squabbling, insular couple losing their grip on reality? 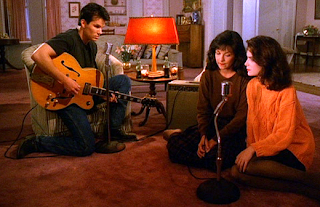 James, Donna and Maddy gather in Donna’s living room to sing a song. The three are united in their grief over Laura’s death. Donna realises that James is falling for Maddy, Laura’s cousin, because of her uncanny resemblance to Laura. After the song, Donna leaves abruptly and James chases after her. 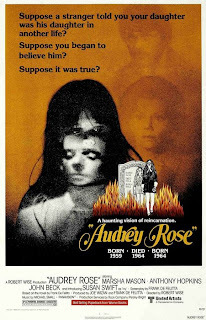 Left alone in the living room, Maddy – who seems to share the same susceptible nature that Laura, and indeed several of the other townsfolk exhibited and just seems able to sense when something is 'wrong' – feels a dark, creepy presence in the house. Suddenly she sees ‘Bob’ a filthy, lecherous man Laura wrote about in her diary, claiming he abused her and would eventually kill her, slowly appear in the room. He quietly skulks towards her from the other side of the room and we see it all from her point of view as she sits rooted to the spot with fear. Three couples are invited to spend the weekend at the secluded private island retreat of their ‘friend’, wealthy industrialist George Stark (Teodoro Corrà). One of the men, a research scientist, has perfected a secret formula for an industrial resin and the other men are all keen to acquire the rights for it as it promises to be lucrative. Tempers flare as they vie to obtain the formula. Meanwhile their wives indulge in flings with the houseboy. And each other! 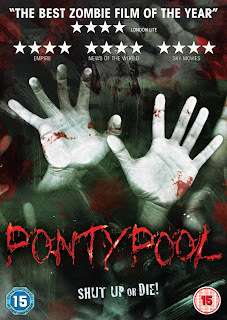 They soon realise that someone is prepared to kill to get what they want, and they find themselves trapped on the island with a murderer in their midst! A group of free-loving, pot-smoking, acid-dropping hippies attend a music and camping festival only to find themselves stalked and brutally butchered by an axe-wielding psychotic killer wearing a Ronald Reagan mask. Aided by his faithful killer dog, Nancy. Naturally. 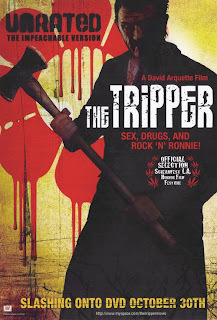 David Arquette’s directorial feature debut is a loving throwback to gritty backwoods slashers from the Eighties. Arquette actually sticks fairly rigidly to the preconceived slasher coda. A pre-credits-like ‘flashback’ to the 80's depicts a young boy who, after seeing his father and lumberjack foreman being attacked by a deforesting protestor and subsequently arrested by the police, goes on a killing spree with a chainsaw. Jenny, (Susan Penhaligon) a troubled young girl, seeks help at her local church. Unfortunately for her, the sexually frustrated priest Father Meldrum (Anthony Sharp) she confesses to, becomes obsessed with her. He begins to stalk her, however as his increasingly unhinged mindset continues to unravel, it becomes obvious he will stop at nothing, including blackmail and murder, just to get close to Jenny. 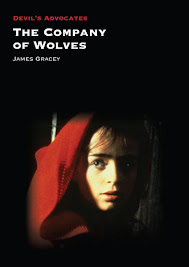 If House of Whipcord was Walker’s attack on the Establishment and the penal system, House of Mortal Sin is surely his scathing defilement of the Roman Catholic Church. 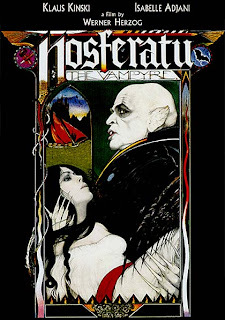 Released in the States as The Confessional it plunges the viewer into even darker territory than before. Pass this Award onto seven other people in seven days or you will DIE! 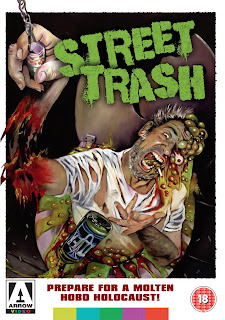 The blogosphere has resembled something of a Brian Yuzna inspired orgiastic frenzy recently, with everyone giving everyone else an award for something or other. Just as I was about to start feeling sorry for myself, a couple of nice bloggers said nice things about Behind the Couch and even chucked me a couple of beauteous awards too. I’m not really one for speeches or anything, so I’ll just say thanks very much to Christine at Fascination with Fear, Carl at I Like Horror Movies and Matthew at Movietone News for their kind words. Basically I’m just going to take the awards and run. But before I do, I wanted to mention a few blogs I enjoy frequenting. 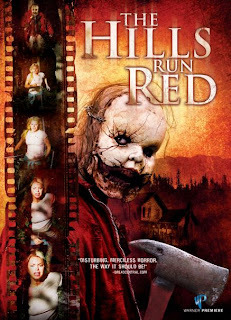 When The Hills Run Red hit DVD shelves last year it really created quite a furore amongst horror fans. The film focuses on a group of young film students who venture into the woods in search of a long lost horror film. The film, titled ‘The Hills Run Red’, was considered by the very few that had seen it to be the scariest movie ever made and shortly afterwards its director Wilson Wyler Concannon vanished, taking the only reel of the film with him. 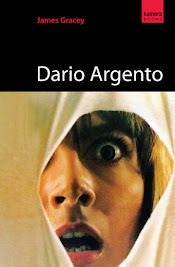 The students eventually discover however, that the deranged killer from the movie is real and still very much alive – and filming never finished as he is still killing for the sake of his art. And they are his new co-stars.